(Feb. 7, 2018) Three Native American tribes in South Dakota are suing opioid industry players in federal court, the Sioux Falls Argus Leader reported last month. The tribes allege they were sold addictive drugs without being warned of their dangers. The Rosebud, Flandreau and Sisseton-Wahpeton Sioux tribes filed the lawsuit. It follows more than 70 similar cases filed around the country. The tribe’s lawsuit targets drug makers Purdue Pharma, Teva Pharmaceuticals, Allergen PLC, as well as distributors McKesson Corp., Cardinal Health Inc., and AmerisourceBergen Corp. The tribes’ charges are similar to those made in other opioid industry cases – fraud, deceptive marketing, RICO Act violations. It is one of the first suits to tie those claims to the impact on Native American populations. The complaint notes that one in 10 Native American youth 12 or older uses opioid pain medications for recreational reasons. That’s double the rate for Caucasians. Native Americans also suffer higher rates of overdose. The 106-page petition charges that deceptive opioid marketing included misleading advertisements, paid speakers to sell doctors, and direct-to-doctor marketing. The tribes charge that they were sold several opioid falsehoods, including that there was a low risk of addiction, that the products carried a low risk of producing a “high,” that there was no maximum dose, and that there were no opioid withdrawal symptoms. The RICO Act violations relate in part to a pharmaceutical group called the “Healthcare Distribution Alliance,” an industry group the lawsuit says was used to inflate opioid sales and supplies. RICO is an acronym for Racketeer Influence and Corrupt Organizations. The law behind it allows for both criminal and civil penalties for groups engaged in dishonest financial conduct. Similar civil and criminal cases have been filed around the country, including a class action lawsuit in Mississippi, and lawsuits in Ohio, Pennsylvania, Washington, and Massachusetts. The defendant companies have not yet filed a responses to the lawsuit. Our law firm is investigating opioid lawsuits. If you or someone you know was injured by opioid addiction, contact us for a free legal consultation regarding a potential opioid lawsuit. Out of more than one million adverse drug events reported to the FDA in 2016, more patients complained of blood thinners than any other drugs. Blood thinners like Xarelto, Pradaxa, Eliquis, Warfarin, and Coumadin are among those most often reported by their users for causing adverse events. Blood thinners, in fact, are responsible for the most emergency room visits compared with all other drugs, including opioids. The Institute for Safe Medication Practices (ISMP) is a nonprofit organization. It provides lists of legal drugs responsible for most injury and adverse event reports. In 2016, ISMP reported that blood thinners – or anticoagulants – were linked to 21,996 adverse events and 3,018 deaths. Xarelto was responsible for most adverse event reports among blood thinning drugs. 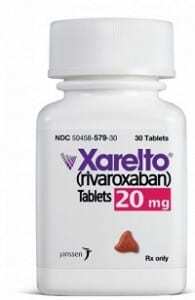 Xarelto is linked with thousands of blood thinner lawsuits. Patients who are at risk of developing blood clots are often prescribed anticoagulants or blood thinners. Each blood thinner targets a particular blood clotting factor to prevent or reduce the formation of blood clots. Blood clotting isn’t always bad, of course. In most cases, blood clotting is vital for preventing small bumps or cuts from becoming severe bleeding events. Preventing this natural healing process from occurring, especially when a blood thinning drug’s concentration is too strong or improperly balanced, may cause some to suffer uncontrollable bleeding. Some of these adverse events were serious enough to require an emergency room visit. The ISMP authors warned that 6.3% of patients on blood thinners will require an E.R. visit, and half those visits will require hospitalizations. Patients on blood thinners, were, in fact, 2.4 times more likely to need an E.R. visit than patients prescribed opioids, which are prominently in today’s news due to a nationwide epidemic. Anticoagulants were responsible for 17.6% of all FDA-reported hospitalizations, more than opioids or any other type of drug. Drug injury attorneys filing Xarelto blood thinning lawsuits believe that Xarelto’s maker and marketer, Bayer and Janssen (part of Johnson & Johnson) have created an unacceptably high safety risk for many patients placed on the blood thinner. Thousands of claims have now been filed in the Xarelto multidistrict litigation (MDL) set in the federal Eastern District of Louisiana. Monitoring blood thinner concentration level is important because Xarelto can create “peaks and troughs” in the drug’s severity for some patients. This creates a particular problem for Xarelto’s once-daily dosing. Bayer and J&J have used the once-daily routine to market Xarelto as a more convenient alternative to its cheaper generic competition – Warfarin – which requires a dosing twice daily. A once-daily dosing may seem more convenient, but it may leave a patient more vulnerable to strokes or bleeding events. A once-daily schedule can create inconsistencies in the drug’s concentration. It may be too weak at times and hence present a stroke risk; or it may be too strong at other times and present an uncontrollable bleeding risk. Xarelto also poses potentially greater health risks than Warfarin because it does not require regular patient monitoring. Regular medical visits, by contrast, could help patients receive an accurate dosage, and prevent dangerous fluctuations in the blood thinner’s concentration. According to a 2017 Mayo Clinic study, one in six patients on newer blood thinners may be prescribed the wrong dosage. Of the more than 17,000 patients who suffered a blood thinner-related hemorrhage in 2017, those on Xarelto (rivaroxaban) had no access to an antidote to help stop the bleeding. Without a reversal agent to stop bleeding, these events could quickly become life-threatening. An antidote for Pradaxa (dabigatran) was not approved until 2015; that was not soon enough to prevent more than 1,000 casualties allegedly caused by the blood thinner. An antidote, ISMP researchers said, could significantly reduce the number of fatalities and serious injuries. Warfarin has had a simple vitamin K antidote available for years, but despite this major difference, Xarelto and Pradaxa were marketed as superior alternatives. This dangerous risk of bleeding, combined with misleading advertising, inadequate warnings and a lack of antidote, has resulted in thousands of lawsuits against Xarelto and Pradaxa makers. Some 14,000 Xarelto lawsuits are consolidated in New Orleans. Thousands more have been filed in state courts against Bayer and Janssen, the Johnson & Johnson subsidiary that markets Xarelto in the U.S. In 2014, Boehringer Ingelheim (Pradaxa’s manufacturer) settled 4,000 of its lawsuits for $650 million. This was before an antidote was available, however, so some patients were still suffering from Pradaxa-related injuries. Therefore, Pradaxa litigation is likely far from finished for Boehringer Ingelheim. Our experienced drug injury attorneys are handling lawsuits against the makers of Xarelto and other blood thinner drugs. 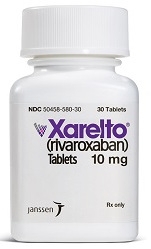 If you or someone you love was injured by Xarelto, email us for a free legal consultation or call 888-520-520. You may be entitled to significant compensation. Time limits apply to filing lawsuits, so we urge anyone with a potential case to call us immediately for a free, no obligation consultation. Blood pumps can kill patients in their homes when they try to change the controller. At least 26 advanced heart failure patients have died and 19 have been injured trying to change the controller on Abbott Laboratories’ HeartMate II blood pumps. After 70 reports of malfunctions, Abbott released new software and alarm guides concerning nearly 29,000 devices to doctors on March 30, 2017. The malfunctions were reported following unsuccessful controller replacement. The HeartMate II Left Ventricular Assist Device (AVLAD) blood pump is an implantable medical device which Abbott acquired from St Jude Medical in January 2017. Implanted inside a patient, it works to pump blood around the body when a heart is too weak to work alone. (There’s poetry in there.) One must replace an external Pocket System Controller needed to operate the device. 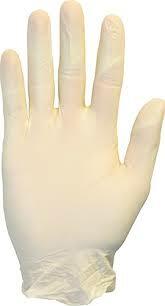 Abbott has advised that replacements be conducted only by clinical professionals. Because of user dangers, the FDA in March 2017 issued a Class 1 recall – its most serious – which urged users not to change controllers themselves. 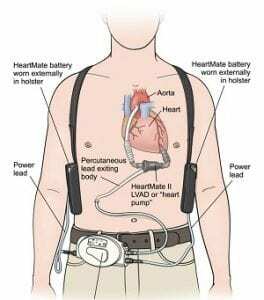 The expensive HeartMate II device was designed to keep people alive until they could receive a heart transplant; however, the FDA approved its use as a “destination therapy” in those who do not qualify for such a transplant. Matthews & Associates Law Firm, a longtime leader in medical device litigation, is investigating Heartmate II Blood Pump problems. Contact the law firm for a free legal consultation. 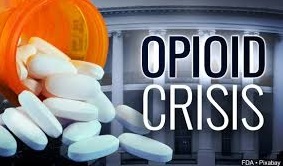 A DEA whistleblower told CBS News that Congress derailed the DEA’s attempt to keep addictive opioids off U.S. streets. Joe Rannazzisi ran the DEA’s office of Diversion Control during the worst drug epidemic in American history. His division regulates and investigates the drug industry. In a joint investigation by 60 Minutes and The Washington Post, Mr. Rannazzisi revealed how the opioid crisis was allowed to spread. It was aided by Congress, lobbyists, and a drug distribution industry that shipped hundreds of millions of pills to rogue pharmacies and pain clinics. Those loads fueled the opioid crisis that has killed some 200,000 people in the last 20 years. A former DEA deputy assistant administrator armed with law and pharmacy degrees, Mr. Rannazzisi seemed most upset with the distributors, some of them multibillion dollar, Fortune 500 companies. These blue-blood middlemen ship the pills from makers like Purdue Pharma and Johnson & Johnson to drug stores countrywide. Mr. Rannazzisi accuses the distributors of fueling the opioid epidemic by pretending not to see pills being diverted for illicit use. Mr. Rannazzisi said the three largest distributors are Cardinal Health, McKesson, and AmerisourceBergen. They control some 85-90 percent of the drugs flowing downstream. Mr. Rannazzisi said these companies knew they were pumping drugs into American communities and killing people. Opioids like oxycodone and hydrocodone became a routine medical treatment for chronic pain by the late 1990s. Drug companies assured doctors and congressional investigators that the pain pills were effective and safe. A Purdue Executive told Congress in 2001 that addiction was rare in the pain patient properly managed. Many doctors were apparently convinced the opioids posed few risks (or apparently knew nothing about the long sordid history of opioid abuse); so prescriptions skyrocketed along with addiction. Many who had become addicted to painkillers turned to what CBS news called “pill mills” – pain clinics featuring rogue doctors who would write fraudulent prescriptions and complicit pharmacists to fill them, one stop shops for legal drugs. Mr. Rannazzisi said many pain clinics popped up overnight. The whole fiasco “made the crack epidemic look like nothing.” He said, “They were just drug dealers in lab coats.” But despite several arrests, opioids kept flooding the black market while the death toll kept rising. Mr. Rannazzisi said that prosecuting crooked doctors and pharmacists failed to slow the epidemic, so he moved up the food chain. He said the DEA saw hundreds of bad orders involving millions of tablets, so the agency started going after the distributors. 9 Million Pills for 392 People? 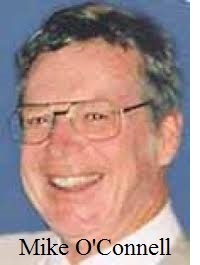 A 40-year DEA veteran, Mr. Geldhof ran pharmaceutical investigations from the Detroit field office. Frank Younker supervised the DEA’s operations in Cincinnati. 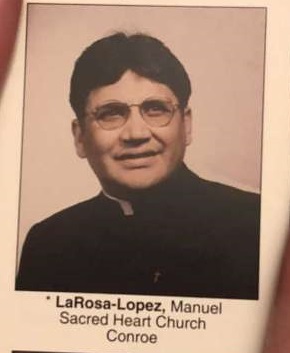 Joe Rannazzisi was their supervisor. They saw distributors shipping thousands of suspicious orders. In one example, a pharmacy in tiny Kermit, West Virginia (Pop. 392) ordered nine million hydrocodone pills over two years. In 2008, the DEA slapped McKesson, the country’s largest drug distributor, with a $13.2 million dollar fine. That same year, Cardinal Health paid a $34 million fine. Both companies were penalized by the DEA for filling hundreds of suspicious orders – millions of pills. More than 17,000 Americans died from opioid prescription overdoses in 2011, the year Cardinal Health started pushing back at Joe Rannazzisi. 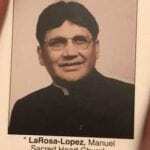 Cardinal’s attorneys called his bosses at the Justice Department, who called in Mr. Rannazzisi to explain his tactics. Joe Rannazzisi told CBS he was infuriated at having to explain his motives for going after corporations. He told his staff they were in a war: “We’re going after these people and we’re not going to stop.” But he was hamstrung by his own agency. He said the drug industry used its money and influence to pressure top DEA lawyers to take a softer approach. Former DEA attorney Jonathan Novak said it divided the litigation office. He said in 2013 that he noticed a sea change in the way prosecutions of big distributors were handled. Cases his supervisors once would have easily approved were no longer good enough. Mr. Novak told CBS that they had achieved “incredible success in an almost unstoppable wave,” but suddenly his caseload dramatically slowed as his bosses began to scuttle the whole system, demanding unreasonable amounts of evidence. Big Pharma minions in Congress then moved to further defang the DEA and save corporate profits at the expense of U.S. Citizens. 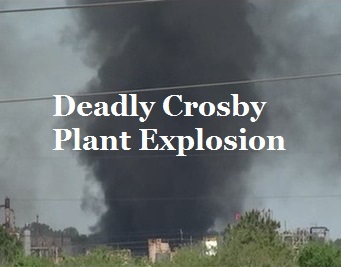 See the whole story at CBS News. The FDA has recalled a Johnson & Johnson heart device. The U.S. Food & Drug Agency announced Jan. 2, 2018 its strictest form of recall for a cardiac device made by Sterilmed. A faulty valve in the device poses the risk of seriously injuring or killing a patient. 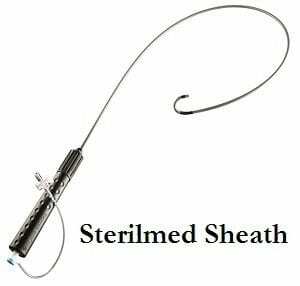 The FDA said the recall of Agilis Steerable Introducer Sheath devices – made by Sterilmed Inc. – is a Class I recall. That’s the agency’s most serious type of recall. 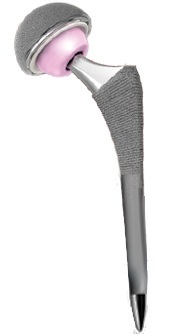 This sheath device is used to insert and position cardiovascular catheters. It is sometimes used on the heart’s left side through the wall of tissue separating the heart’s right and left chambers. The FDA said the sheath’s hemostatic valve is at risk of failing because of an improper seal on the sheath’s hub. The valve is designed to keep blood from flowing back through the valve. The improper seal happens when there isn’t enough glue used to reattach the sheath’s cap after use. 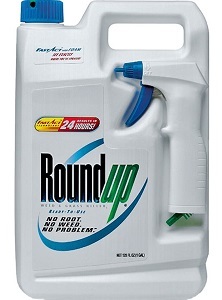 But too much glue can also block the valve and make the device unusable, according to the FDA. Some 112 affected devices are included in the recall, which covers sheaths made between Jan. 1, 2017, and May 5, 2017, according to the FDA. In addition, patients with a lower body mass index may be more at risk if there is blood loss, said the FDA. Smaller patients and those with a pre-existing lower lung capacity may also be more susceptible to air embolisms. The FDA advised health care facilities and providers to search their inventories for the sheath and return any unused sheaths to Sterilmed. The agency said providers should also continue to monitor patients treated with the sheath, just as they would normally do. A Sterilmed representative said that the company initiated the recall in June and that it has not received any reports of adverse events related to the devices. In November 2017, new studies revealed that stents put into heart disease patients to keep arteries open work no better than a placebo. Hundreds of thousands of US patients receive expensive stents each year for the relief of chest pain. Americans pay anywhere from $11,000 to $41,000 for a stent procedure that, it turns out, is useless for most. The wasteful and dangerous stent is just the latest in a long string of expensive and unnecessary medical treatments foisted on us all in recent years. Failed medical procedures proliferate in our profit-driven medical culture. To name just three others in recent memory, IVC filters have also been found to be almost completely unnecessary. They are rarely, if ever, worth the risk of their implantation. Power morcellators used for hysterectomy or uterine fibroid removal are another dangerous “improvement”; they can be lethal when used on women with undiagnosed cancer. And finally, hernia mesh (plastic) is another unnecessary and dangerous “improvement” recently unmasked. Lawsuits have been filed against the promoters and makers of all three of these “improvements,” because risk-benefit analysis shows that each is not worth the risk of its potential failure. 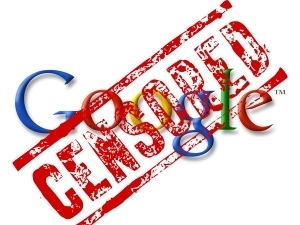 The Western medical establishment, run on the sick-model-profit-motive, is decidedly prejudicial when it comes to using the “latest” technology. Most of us have also been unwittingly conditioned to embrace the latest gadget or device. If it’s new, we almost instantly imagine that it must be better. We are, at the least, encouraged to think so by television advertisements, the shiny new brochures that litter doctors’ offices, our own doctor’s own glowing recommendation that this is the “new great thing.” New being the operative word, and sadly, if our doctor doesn’t know what “the latest” device, drug, or procedure is, we are conditioned to think she has failed to keep up with the times, and are apt to look for another, more “up to date” doctor model. There is also a money prejudice at work. Conditioned to pursue and worship money and to listen to those who have it, we sacrifice or denigrate our own skills and aptitude, as we genuflect to the money. If some computer, phone, or medical device company spent millions developing this latest thing, it must be good, we imagine, because why else would they have spent all that money? (Our money prejudice is a non sequitur we ignore at our peril.) At the very least, we want to benefit from this great new thing, this new peachy pinnacle of money power. As for stents, “Several randomized trials have clearly shown that stents and angioplasties don’t prolong life or prevent heart attacks in stable patients. Now, we know that they don’t reduce angina either,” wrote Dean Ornish, MD, clinical professor of medicine at the University of California of San Francisco. No study has proven IVC filters are necessary or more effective than the treatment which preceded them – blood-thinning drugs and dietary and lifestyle changes. No study has demonstrated the efficacy of IVC filters. They have been shown by thousands of people, however, to be quite dangerous. They can be impossible to remove. 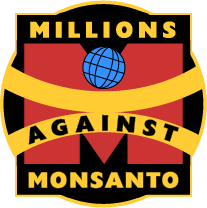 They have likely killed thousands of people whose deaths were not attributed to the filters. They can break apart and migrate and perforate the heart and lungs, causing life-threatening conditions. IVC filter lawsuits have, consequently, been filed by the thousands against Cook Medical, Bard, Boston Scientific, Cordis, and other IVC filter makers. Even the AMA, virtually always friendly with medical device makers, has admitted these devices have proliferated despite any evidence of efficacy. 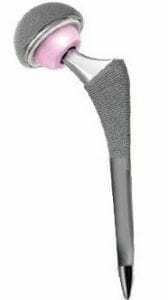 Power morcellators have been used for performing hysterectomies and removing uterine fibroids. They’ve been marketed as a more convenient method for surgeons and as a less invasive method for women to undergo certain surgeries. 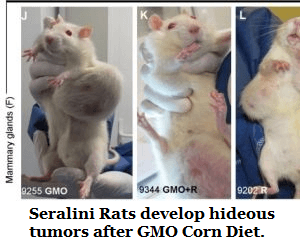 The problem is that when they are used on women with undiagnosed uterine cancer (not entirely uncommon), they can spread that cancer throughout the body, and weaponize it so that it becomes lethal. 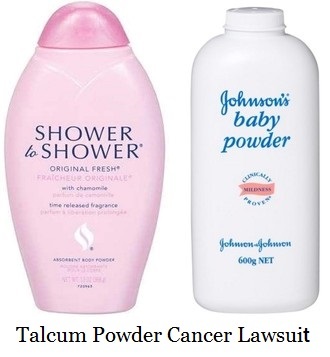 As a result, power morcellator lawsuits have been filed against Johnson & Johnson (Ethicon) and other morcellator makers. Hernias were fixed for at least 100 years with simple suturing, until some medical device maker got the bright idea to insert plastic mesh into the human body. The procedure is easier for surgeons or doctors who don’t have the chops to perform a good old fashioned suturing job, and it promises the patient a “less invasive” procedure with faster recovery times. The problem, however, is that once that mesh goes in, it “meshes” with the body’s tissues, grows into them in ways which can make it all but impossible to remove. When infection follows, as it often does in the body’s natural foreign body reaction, the mesh often needs to be removed; but it can be all but impossible to remove. 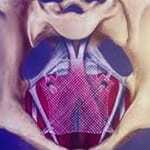 The unlucky mesh implantee can then be doomed to a lifetime of pain. In the “old” method of simple suturing, any complications could be much more easily corrected or revised. The doctor could even remove all the stitching, if necessary, and begin again. Not so with mesh. Given all these failed or at best dubious devices and procedures, people would be wise to do their research before submitting to the latest, greatest procedure, pill or medical device. Discerning patients might be wise to start by looking very closely at their own ingrained prejudices concerning the latest, greatest anything. Advertising dollars run what we call “the news,” which is often little more than the promotion of corporate products and corporate values, which is no values at all beyond the blind worship of profits. 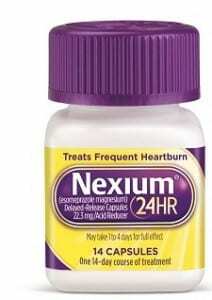 Proton pump inhibitor lawsuits are being filed for people who developed kidney problems after taking popular PPI drugs like Nexium, Protonix, Prilosec, Prevacid, and Aciphex. The lawsuits were spurred largely by a study published in 2016 which showed a link between PPIs and chronic kidney disease. Chronic kidney disease can lead to kidney failure, requiring regular dialysis and possibly a kidney transplant. In the latest study, researchers used data on self-reported proton pump inhibitor use among more than 10,000 people taking part in a national study on hardening of the arteries. Researchers also evaluated data on outpatient PPI prescriptions among nearly 250,000 patients of a Pennsylvania health care system. The study noted PPI users in both groups were more likely to have health problems, such as obesity, high blood pressure and heart issues. In both groups, researchers associated use of the drugs with an increased risk of chronic kidney disease over ten years. The researchers also compared people using the drugs once a day with those who used them twice daily. They found the latter linked with a 46 percent increased risk of chronic kidney disease, compared with a 15 percent increased risk in the once-daily users. No one is sure how PPI drugs might damage the kidneys, though two theories lead the way. One is that PPIs can cause magnesium levels to decline; a lack of magnesium can damage kidneys. The second theory is that kidneys might suffer damage if patients face repeated bouts of acute kidney inflammation from proton pump inhibitors. Gastroenterologists are also cautious about using PPIs because they’ve been tied to other health problems such as bone fractures, infections of C. difficile, and pneumonia. 2012 – $55 million: Pfizer agreed to settlement with U.S. government for promoting Protonix for unapproved uses. 2014 – Undisclosed amount: Takeda Pharmaceuticals settled a lawsuit claiming Prevacid was responsible for bone fractures. 2015 – $20 million: AstraZeneca agreed to a settlement in a consumer class action lawsuit over its marketing of Prilosec and Nexium. 2015 – $7.9 million: AstraZeneca agreed to settlement with U.S. government over alleged kickback scheme involving Nexium. 2015 – $24 million: Generic drug maker Teva Pharmaceuticals settled lawsuit claiming it took money from AstraZeneca to keep generic Nexium off the market. Our law firm is handling proton pump inhibitor lawsuits in which someone took a PPI and developed chronic kidney disease. Contact us for a free legal consultation if you have been diagnosed with kidney problems following use of PPI drugs. On December 5, 2017, a Philadelphia jury delivered a Xarelto verdict of nearly $28 million in damages against Johnson & Johnson and Bayer. The jury found the companies had provided inadequate warnings about bleeding risks linked with the blood thinner Xarelto. The case was filed by an Indiana woman who said she suffered a serious gastrointestinal bleed after using Xarelto. It was the first Xarelto verdict for a plaintiff. Juries in three previous federal multidistrict litigation trials in 2017 sided with the drugmakers. The Lynn Hartman case is one of more than 1,500 pending as part of mass tort litigation in the Philadelphia County Court of Common Pleas. Xarelto-related product liability claims were consolidated there, despite defense protests. Ms. Hartman’s trial centered around claims that J&J’s Janssen Pharmaceuticals Inc. and Bayer Healthcare Pharmaceuticals Inc. failed to include vital information in Xarelto’s warning label. The companies were charged in the lawsuit with failing to properly report the rate of bleeding events observed in a clinical trial. The trial showed the rate was significantly higher among U.S. patients compared with patients elsewhere in the world. According to evidence shown in the trial, the rate of bleeding events among people in the U.S. was 8.1 percent yearly versus 3.6 percent among people globally. Ms. Hartman’s lawyers also accused the two companies of failing to adequately warn about the higher bleeding risks in using the drug with aspirin. They also charged that the companies failed to inform doctors that some patients end up with significantly higher levels of the medication in their blood than others. The woman’s lawyers argued that adverse event risks linked with Xarelto were significantly higher than that of Xarelto’s competitors, Eliquis and Pradaxa. 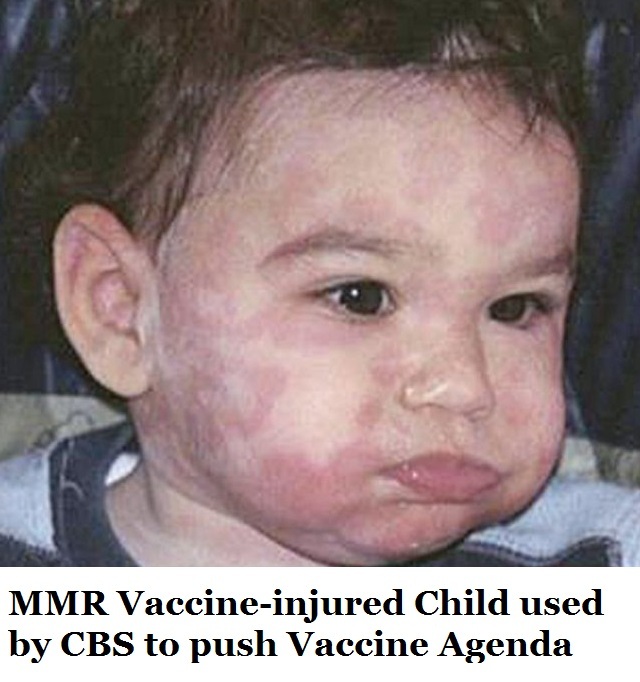 Ms. Hartman’s case was supported by testimony from former FDA head David Kessler. He told the jury he believed that Xarelto’s warning label lacked key information concerning the severity of the drug’s potential bleeding risks. The defense also pointed to testimony from Ms. Hartman’s doctor that she would not have changed her decision to prescribe Xarelto even with the additional information that she agreed (with the plaintiff) should have been included on the label. A Janssen spokeswoman said the company will appeal the verdict, which was not a shock to anyone, as no drug company has ever accepted any verdict against it without appealing to have it thrown out of court. Hence the importance of corporations lobbying and bankrolling state and D.C. beltway politicians who then work endlessly to stack the appeals courts against citizens and their rights. According to court records, a second Xarelto case is scheduled for a trial in Philadelphia in January 2018. • Stay tuned. . .
Science Daily has noted IVC filter use has decreased following an FDA advisory. IVC filter use began declining last year after the National Institutes of Health noted in June 2016 that IVC filters carry real risks. 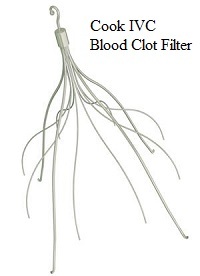 IVC filter injury lawsuits may also be slowing down the sale and use of these blood clot filters. IVC filter dangers have been soft played by their manufacturers. The paper’s opening abstract notes: “Deciding which IVC filters to use, when to use them, and for how long they should remain in place remains a highly complex process with many variables to consider. At a minimum, it is important to recognize that mechanical thromboembolic prophylaxis is not entirely benign.” That’s fancy language for admitting that IVC filters can be dangerous. The NIH noted that the use of IVC filters, especially retrievable filters, “is associated with morbidity risks that increase over time.” In plain language, that means the longer an IVC filters remains in the human body, the more likely it is to cause problems. Pieces of the delicate little thimble-sized devices can break off and migrate throughout the circulatory system, including into the lungs or heart. 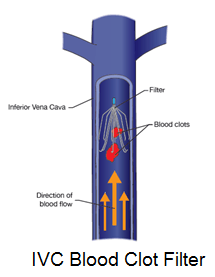 The entire IVC filter can also tilt sideways or embed into a blood vein wall, causing other serious problems, including death. NIH cautions that IVC “filters should be removed when the patient’s risk for PE has resolved.” The problem is that many temporary filters are being left inside of a person far longer than they should be. To further complicate matters, many IVC filter patients are not told by their doctors that their temporary filters should be removed after a given time. In addition, as many IVC filter lawsuits charge, IVC filter makers such as Bard and Cook Medical have not given their doctor customers clear instructions for when the filters should be removed. The NIH says that, “Postplacement clinical follow-up is critical to optimizing retrieval rates. Given the increased adverse effects and cost difference when using IVCF in a permanent manner, an important goal for appropriate IVC filter selection should be selecting those patients best served with a permanent filter due to the patient’s unique clinical conditions. . .” That statement is as close as the NIH gets to criticizing IVC filter makers for promoting their filters for too many people, for not properly screening potential filter implantees. NIH also recommends further development and validation of nuanced, large-scale mathematical modeling tools to determine how best to use IVC filters. The NIH never directly criticizes any medical device manufacturer, but the language makes it clear that current practices fail IVC filter implantees, or are at least inadequate. The paper also notes that IVC filter implantation rates remain high compared to rates in Europe. IVC filters are used to prevent deep vein thrombosis (DVT), a medical condition in which blood clots develop in the deep veins of the body, often in the legs, thigh, or pelvis. These clots can break loose and travel to the lungs and can cause a life-threatening condition called pulmonary embolism (PE). IVC filters are implanted in people at risk for PE when anticoagulant therapy is ineffective or cannot be used. They are supposed to be use only in those for whom anticoagulant therapy is contraindicated. IVC filter use has increased rapidly over the years, despite no real evidence that the filters are necessary or effective. In 2010, the U.S. FDA issued a device safety communication after reviewing more than 900 adverse filter events over a five-year period. Those problems include device migration, embolizations, perforation of the IVC, filter fractures. Some led to adverse clinical outcomes, often with the filter remaining in the body long after the risk of PE had subsided. The FDA safety communication recommended filter removal as soon as protection from PE was no longer needed. (Nov. 17, 2017) Johnson & Johnson was ordered by a Dallas jury to pay $247 million to six people who claimed J&J hid defects in its Pinnacle artificial hips. It was the third multi-million-dollar verdict against J&J over its defective metal-on-metal hip implants. The jury ruled yesterday that J&J’s DePuy unit officials knew the hip devices they made were defective, yet failed to warn doctors and patients about the risk that they would prematurely fail. The jury awarded $79 million in actual damages, plus $168 million in punitive damages to a group of six New Yorkers whose hips required surgical removal. Nearly 10,000 lawsuits have now been filed against J&J and DePuy over the company’s mishandling of the metal-on-metal hips. 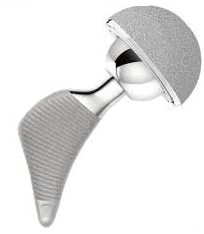 J&J stopped selling the hip replacement devices in 2013 after the U.S. FDA toughened artificial-hip regulations. In October 2014, Johnson & Johnson won the first Pinnacle hip case to go to trial, when a federal court jury in Dallas rejected a Montana woman’s claims that the devices were defective and gave her metal poisoning. In 2016, another Dallas jury ordered J&J to pay $498 million to a group of five people who accused the company of hiding defects in the artificial hips. In July 2017, a judge slashed that verdict to about $150 million. Earlier in 2017, a third Dallas jury ordered J&J and DePuy to pay more than $1 billion to six California residents whose hips had to be removed after failing. That award was later slashed by nearly half. The Pinnacle hip devices were not covered by J&J’s $2.5 billion settlement of claims over its ASR line of artificial hips. Johnson & Johnson recalled 93,000 of those implants worldwide in August 2010, admitting that 12 percent failed within five years. The metal-on-metal Pinnacle hip cases have been consolidated before U.S. District Judge Ed Kinkeade in Dallas for pretrial information exchanges and test (or bellwether) trials. Judge Kinkeade agreed to combine the six cases in the most recent trial. The six New York plaintiffs in the latest Dallas trial are a physician (88 years old); an elementary school teacher (67); a chauffeur (61); a housing official (60); a health-care aide (53); a financial analyst (52). Plaintiffs in the latest trial argued that DePuy officials rushed the Pinnacle hips to market with little testing, and misled doctors about the product’s safety profile. They erroneously assured doctors that there was little risk of metal poisoning and tissue damage from the metal-on-metal hip device. 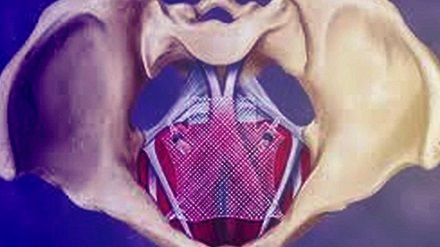 J&J’s lawyers argued that the hip devices failed because of routine wear-and-tear. They denied that the hip device design was flawed. 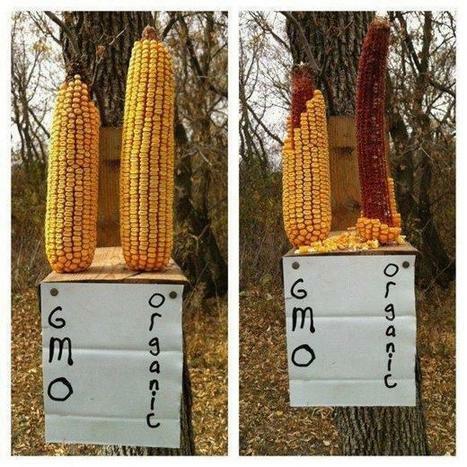 They argued that the company marketed the product properly. Jurors found that J&J and DePuy relied on “intentional misrepresentations” about the hip device’s safety profile to bolster sales. According to a verdict form, the jury found that J&J and DePuy engaged in “deceptive business practices” when they marketed the defective devices. If you or someone you love was implanted with a metal-on-metal hip implant that failed, contact our experienced medical device lawyers today for a free legal consultation.